Police in the Croatian city of Tovarnik watched over thousands of people — migrants and refugees — who spent a cold and wet night sleeping on the ground. 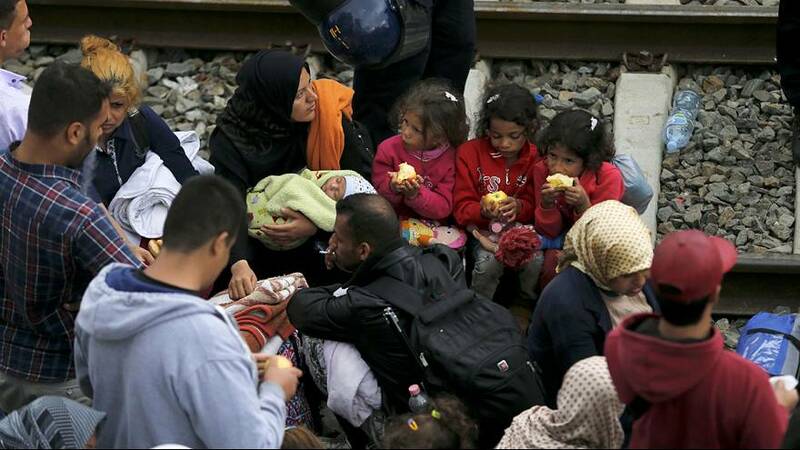 On Sunday (September 20) they desperately tried to board trains heading further into Europe. In the confusion, people became separated from their loved ones: wives from their husbands, children from their mothers. There was clearly not enough space for everybody, making the scramble to get on board even more furious. Most of the people who desperately tried to board trains in Tovarnik had trekked from the Serbian town of Sid, about 8 kilometers cross-country. Hundreds of thousands of Syrians are on the road, heading to Europe. More than 20,000 — many refugees from Syria’s civil war — have walked into Croatia since last Tuesday when Hungary used a razor wire fence, water canon and tear gas to bar their route into the EU. Europe’s disarray over how to handle the crisis is deepening.